Mortons & Harrisons Dairies, the Merseyside based dairy company, made a special delivery to Claire House Children’s Hospice. 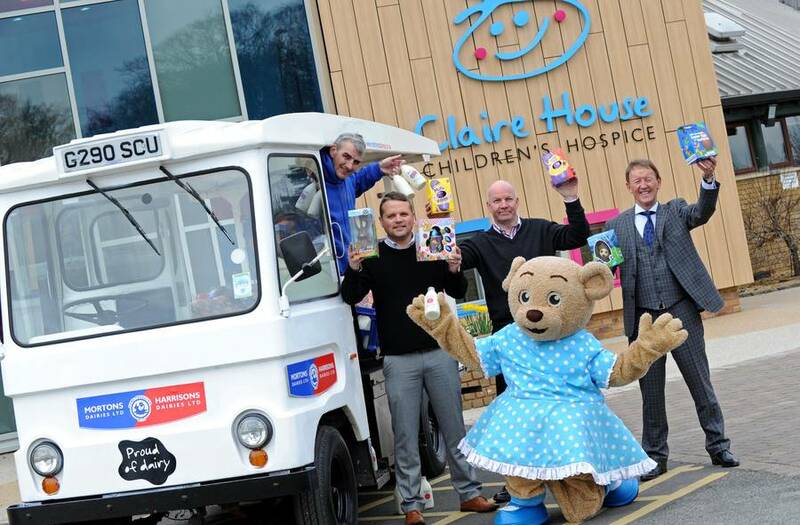 The family owned business, which has seven depots and 230 staff across the region, teamed up with customers to donate Easter eggs to children and their families at the hospice. Mortons & Harrisons Dairies is a Merseyside based family-run dairy company which has been operating and delivering milk to the local communities since the 1920s. The company has grown significantly over the past 80 years to become the North West’s largest dairy, with more than 55,000 customers and 230 staff. The established dairy business only sources milk from 25 Red Tractor accredited farms situated within 20 miles of the head office in Maghull. Claire House Children’s Hospice, based on the Wirral, offers care, support and choice to children and their families across Merseyside, Wirral and Cheshire.